‘Tis the season to dread the tedious task of holiday shopping. Trekking out through winter winds, standing in long lines, dragging your kicking and screaming kids (or spouses) with you for help… It’s exhausting. But crossing names off your gift list doesn’t have to be a chore; at MarketStreet Lynnfield, it’s something you’ll actually enjoy. Here are five ways you can make the merriest of your holiday shopping experience at this premier lifestyle destination – and why the whole family will be begging to join in the fun. For the latest technology, Apple’s first holiday season at this center is sure to be a success with the recent debuts of the HomePod, Apple Watch Series 3, iPhone 8, and iPhone X. For your bibliophile relatives, another retail powerhouse, Amazon Books, just opened its sixth U.S. location at MarketStreet Lynnfield in April. Be sure to stop by Hanna Andersson, Everything But Water, and U.K. fashion inspired retailer FatFace. Support your neighborhood shops for unique gifts made right in New England. MarketStreet has more than 25 locally-owned businesses, including Pia, Pink Parkway, and The Grove Boutique & Café. This December, Quinstance will open its doors, offering customers one-of-a-kind finds from glassblowers, woodworkers, jewelry designers, letterpresses, soap makers, and seamstresses. Ninety percent of products are American-made, with 10 percent sourced from global artisans throughout the world. Take a break and unwind with a drink in hand. 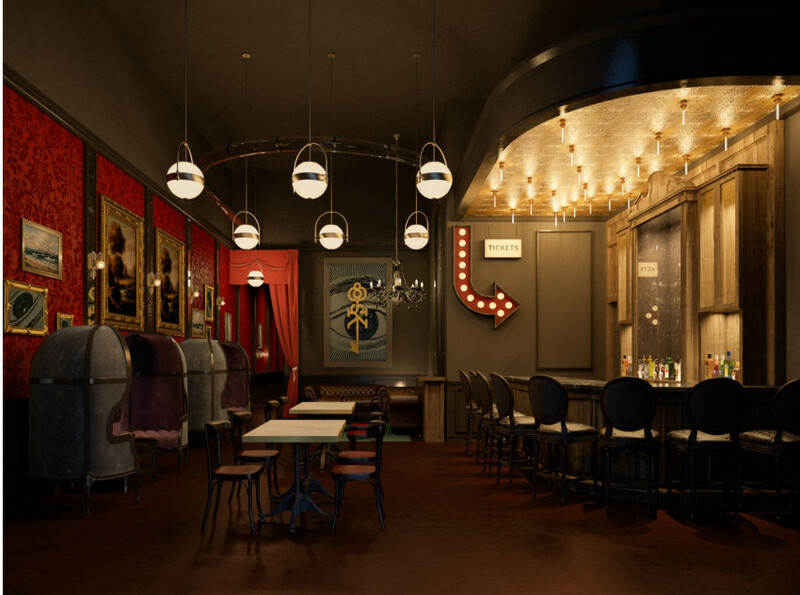 Gaslight’s open-concept dining room seats up to 190 with a 33-seat bar area. Try a special selection from their 200-bottle international wine list or snag a domestic draft or imported beer. 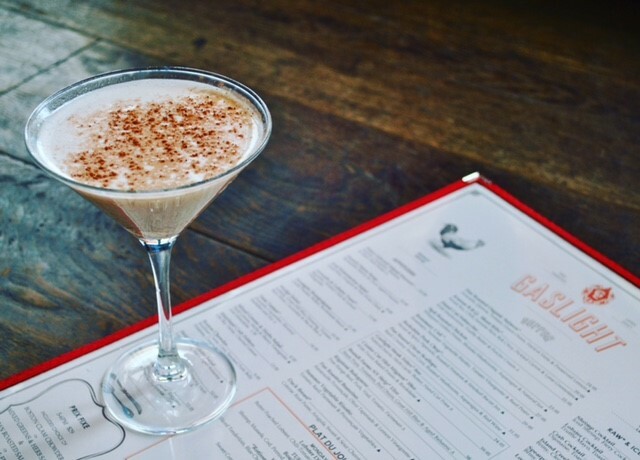 Their carefully curated cocktail list is especially delectable; indulge in the Carpo’s Cup with vanilla vodka, Rumchata, pumpkin spice, and cinnamon for the ideal after-dinner delight. For a festive fiesta, stop by Temazcal Tequila Cantina for their signature, award-winning margaritas and upscale Mexican cuisine. The under-21 crowd can cozy up at the only North Shore Capital One Café location with a steaming cup of coffee or bakery treat. Take out some spending money at the fee-free ATMs for Capital One cardholders or catch up on social media with complimentary WiFi. Warm up with a delicious menu of American foodie favorites at Roxy’s Grilled Cheese with amazing burgers, soups, sides, and famous sandwiches like the Green Muenster, made with bacon, house-made guacamole, and – you guessed it – muenster cheese. Be sure to try their Beers of the Moment, a rotating selection of more than a dozen canned craft beers. Do something daring at Skeleton Key, an immersive, 60-minute adventure experience that challenges participants to work collaboratively in teams to solve brainteasers and coordinate clues to escape the space before time runs out. 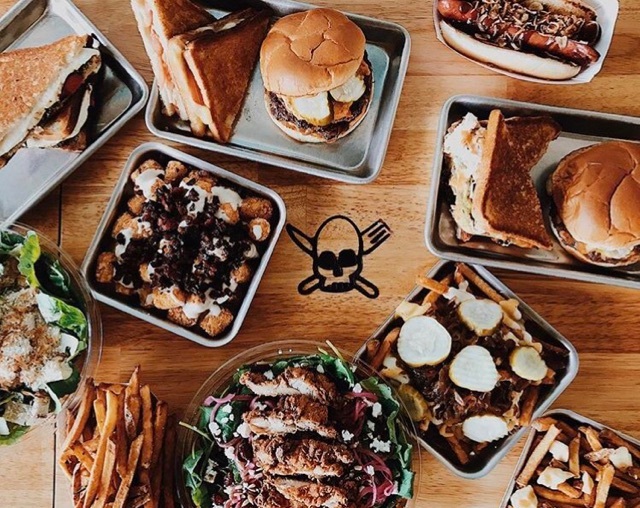 Opening in mid-December, the new Skeleton Key will also feature The Adventure Emporium, a bar and lounge serving beer, wine, and pub snacks for the perfect post-quest party. Break out your inner Picasso and paint your own gifts at Muse Paintbar. With classic paint canvas workshops to wine glass painting sessions, you can give your loved ones something straight from the heart. See the schedule and sign up for classes here. Lace up your skates and make a figure eight at the MarketStreet Rink presented by Lahey Health. Returning for the fifth year in a row, the rink is located on The Green and is surrounded by twinkling snowflake lights. 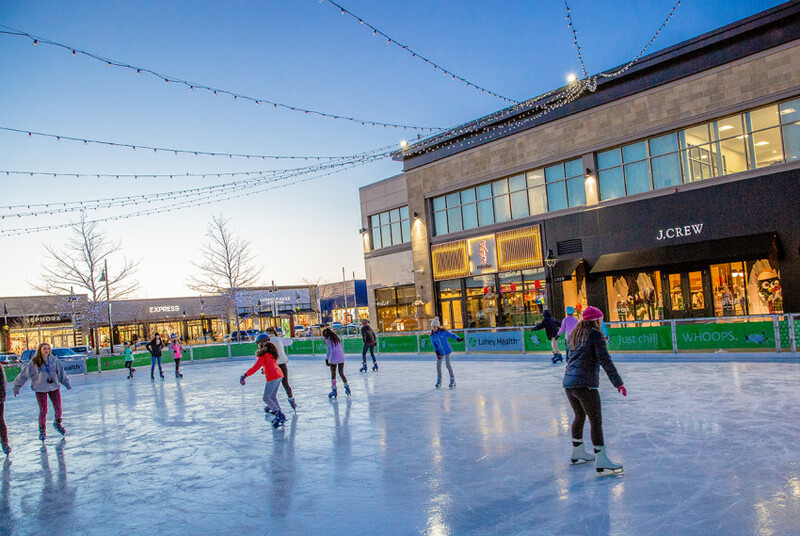 Available for skate lessons, private birthday parties, corporate events, and charity fundraisers, the rink offers gorgeous sunset views of Reedy Meadow. Tuesday: 4 – 9 p.m.
Wednesday: 1 – 9 p.m.
Thursday: 4 p.m. – 9 p.m.
Saturday: 10 a.m. –10 p.m.
Skating admission rates for ages 13 and up is $8, children ages 12 and under is $6, and children ages 3 and under skate for free. Skate rentals are $4, but skaters are permitted to bring their own ice skates. Guests who show their ice skating wristbands can enjoy exclusive dining deals, like a free kid’s meal with the purchase of an adult entrée at select restaurants. 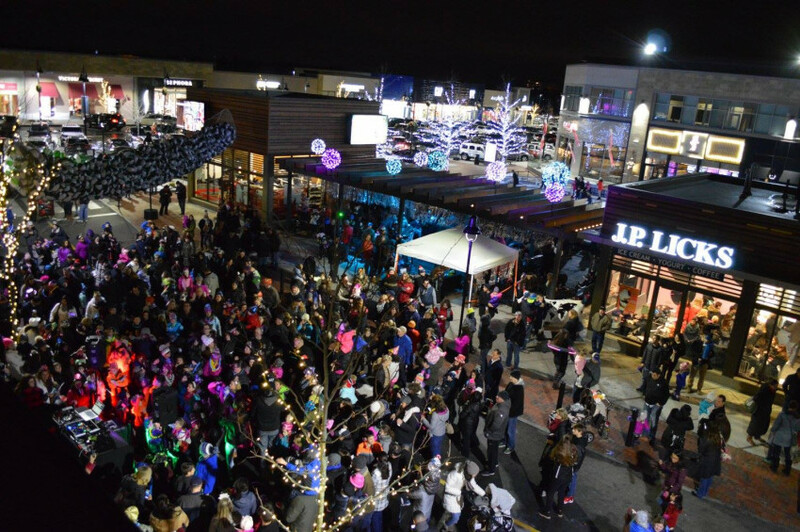 And after the holiday shopping frenzy comes to a close, celebrate New Year’s Eve at the fourth annual Family Block Party in Market Square. Dance to jams the DJ is spinning and ring in 2018 a few hours early; the event starts at 5 p.m. and counts down to 7 p.m., ending in a burst of confetti over the crowd. The family-friendly festivities are free and open to the public. 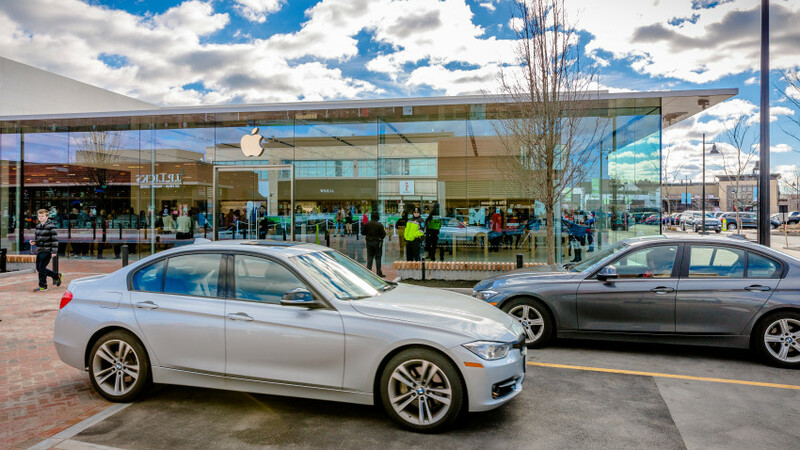 For more information on how MarketStreet Lynnfield is your holiday shopping haven, visit marketstreetlynnfield.com.